Learn how to master the three mental processes that control a winning performance. Olympic gold medalist and world rifle champion Lanny Bassham shares his mental strategies for success. With Winning in Mind is a fantastic resource for anyone seeking improvement of any kind. I wish I had known about it when I was competing! 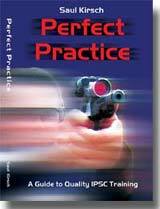 The 3rd edition has 4 new chapters, including extended topics on Goal Setting and Mental Management Programs. 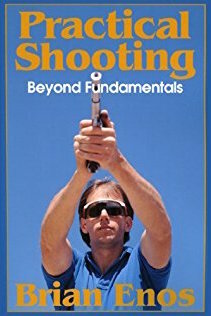 Olympic gold medalist and world rifle champion Lanny Bassham shares his mental strategies for success in his book, With Winning In Mind. 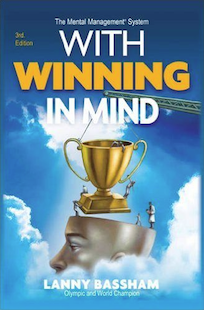 With Winning in Mind is the most authoritative book available on mental training for sports and competitive business environments. The most powerful mental tools used by Olympic winners. The secrets of mastering the pressure of big competitions. The three mental processes that control a winning performance. Why ninety-five percent of all winning is accomplished by only five percent of the participants. How to turn your deficiencies into strengths. The Mental Management System used by Olympic teams from seven nations. Athletes in training for national or world competitions in all sports. Coaches of top-ranked teams and individuals. Business trainers and sales professionals. Anyone interested in increasing performance while reducing stress. Learn the secrets that Olympians use to control the mind under the pressure of competition. The Audio CD version of With Winning in Mind will allow you to listen to the its inspirational lessons on your way to your next challenge. Four audio CDs read are by the author. Includes a Bonus CD with 40 minutes of new material and commentary not included in the printed version of the book. World Champion + World Record Holder- 1974, 1978, Olympic Team, 1980. PS. 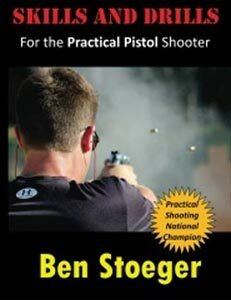 I find that these mental skills and techniques have not just benefited me in the shooting sports. I can see their power in all the sports I have observed, as well as in my daily life. In daily life, having positive expectations and positive ways to look at “temporary setbacks” (not failures) in your life, the importance of goal setting; in helping younger athletes look at their performances in a positive way thereby making it easier for them to progress to the next level, these are among the numerous carryovers from Lanny’s course.